You are here: Home / -Customers and Partners / Digiwin Software Co., Ltd.
At the edge of technology revolution, Digiwin helps our customers not only in the form of information system, but also to confront and embrace the complexity in a more effective and efficient way. Thus, new opportunities for innovation and growth has been generated and our customers will stay ahead of the competition. According to the 2015 ERP Solutions survey by CCW Research, Digiwin has been one of the top 3 enterprise software providers in the Greater China. According to the 2015 Taiwan Top 2,000 companies survey by CommonWealth Magazine, 73% of the Top 2,000 companies in Manufacturing and 53% in Service Industry are our customers. Moreover, 68% of the top 50 fast growing companies are adopting our solutions. 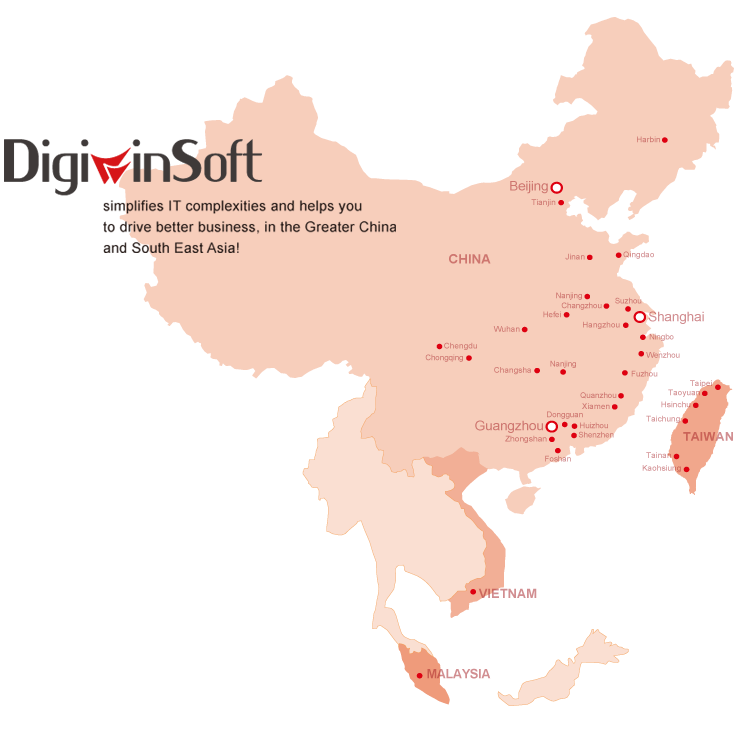 Digiwin has also been extended regional partnership across South East Asia mainly in Vietnam, Malaysia and Indonesia.